sufficient. The trailer is in good condition. 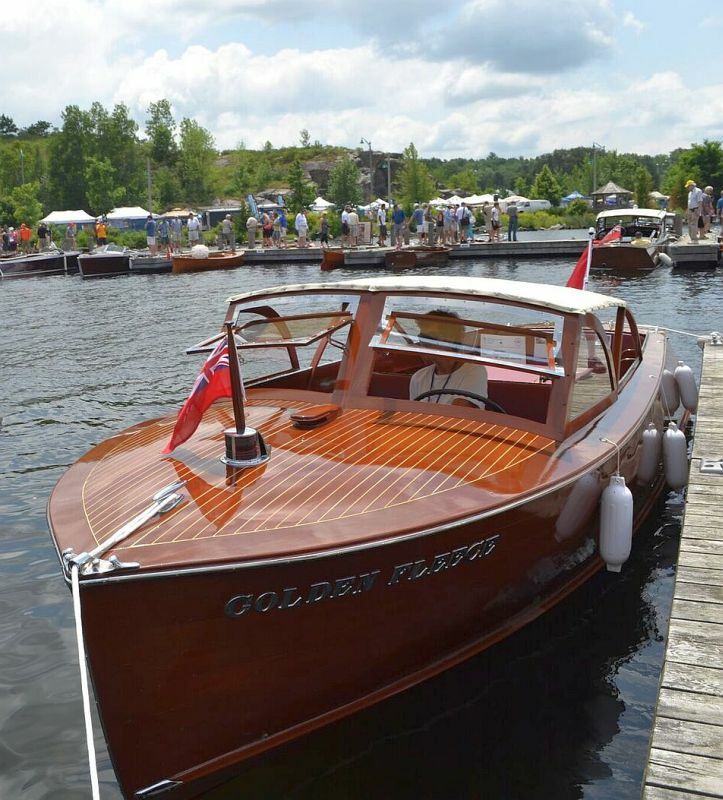 The Golden Fleece is a 24-foot utility style boat built in 1937 by Grew at their original works at Jackson’s Point on Lake Simcoe, Ontario. 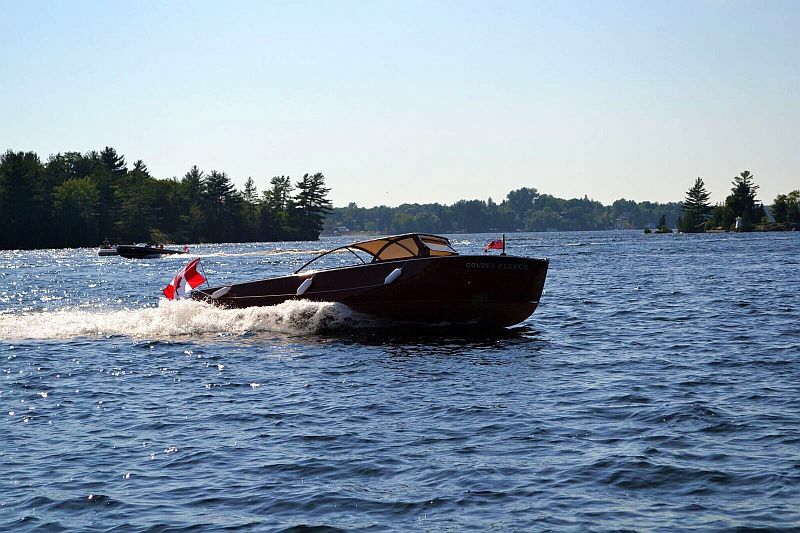 She then became a major part of the lives of all of the Denisons, Kirkpatricks, Macklems, Martins and Rosses who vacationed on Heydon Island in Lake Muskoka until 1998. 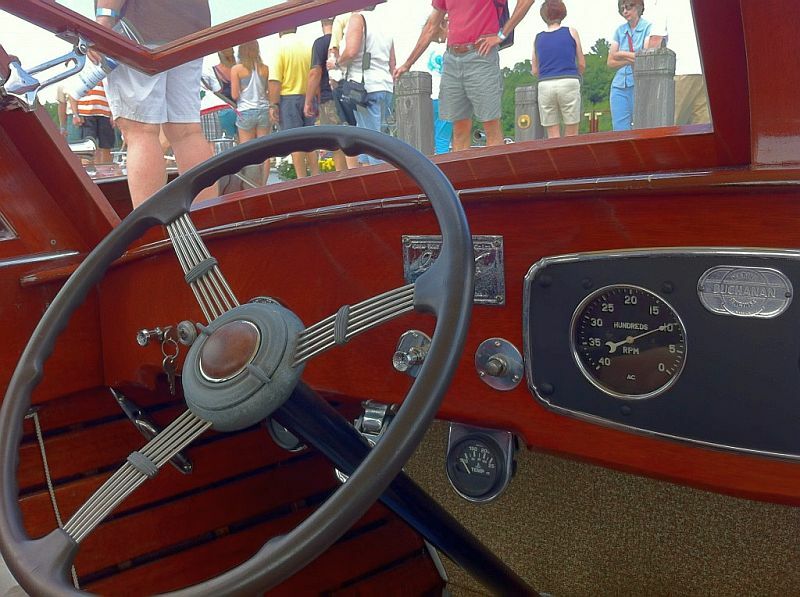 Over sixty summers on the Muskoka Lakes, “the Fleece” shuttled family from the mainland to the cottage, went on family picnics and toured visitors on many excursions up through Lakes Muskoka. Joseph and Rosseau. 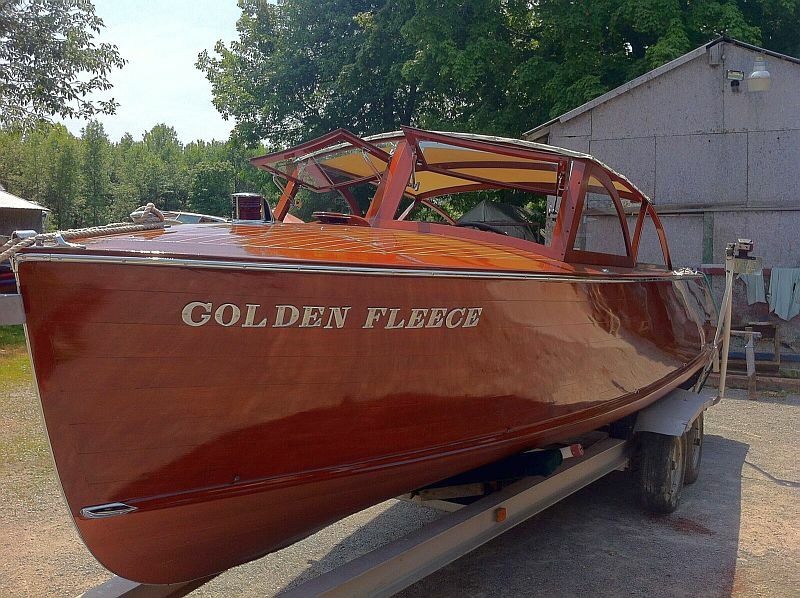 The Golden Fleece was stored and serviced at the Greavette boat works in Gravenhurst until the late 50’s. 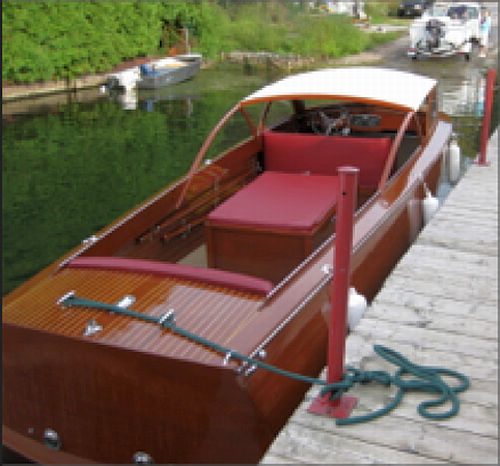 From that time until 1998 she was stored at Heydon Island and maintained by Peter and Ray Campbell at Campbell’s Landing. When Heydon Island was sold in 1998, The Golden Fleece was retained by the family and restored over time with the project completed in 2011. 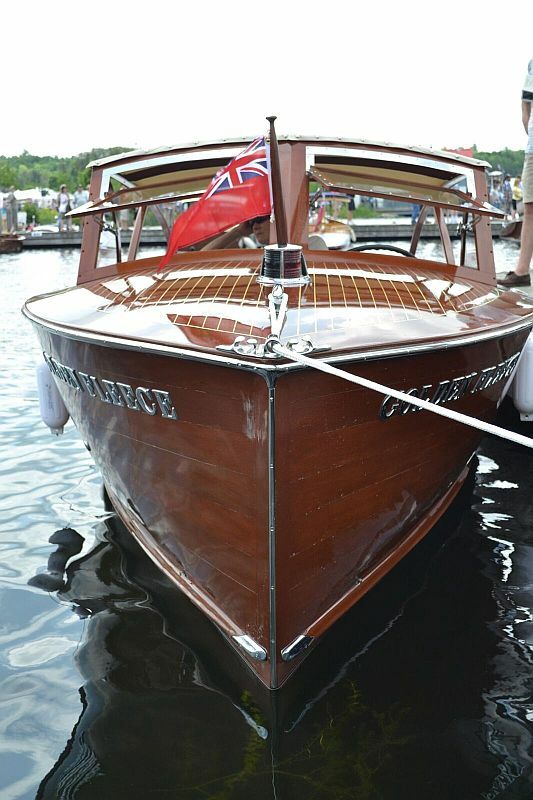 “Golden Fleece” is powered by an eight cylinder, 275 hp, 327 ccc Chrysler marine engine, rebuilt in 2011. The motor is in excellent condition, with less than 100 hours use since the rebuild. Although she was built at Jackson’s Point, she has always been a “Muskoka boat”, never having spent any real time in any other waters.